Alli attended Maryville University in St. Louis, Missouri, where she graduated with a Bachelor of Arts in Psychology and a Bachelor of Science in Music Therapy. 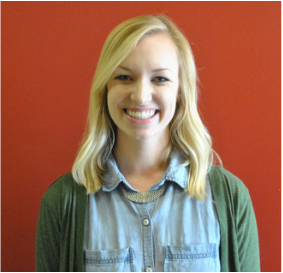 Alli elected to dedicate the majority of her music therapy internship hours to the school setting, during which she provided music therapy services to over ten different St. Louis schools, and worked toward proficiency with a wide variety of student ability and classroom size. She also worked for the St. Louis Children's Choirs and founded, ran, and performed in Maryville's only collegiate a cappella group. Alli's principle instrument is guitar, although piano, voice, arranging, and writing are passions of hers as well. She loves exploring the live music scene in Chicago, and is constantly researching more ways to incorporate the dynamic between play, music, mindfulness, and learning into her teaching. Alli serves as the Music Therapy Department Chair.